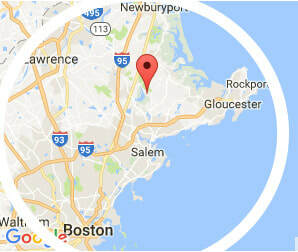 Our delivery program is available to all Massachusetts zip codes located within 40 miles of GM Firewood (01982). Please calculate your shipping distance to make sure we can deliver to you. After you calculate your distance click your <-BACK button to return to this page. Please fill in the form below and then click the submit button. This will be the total price for your kiln dried wood delivered and stacked.